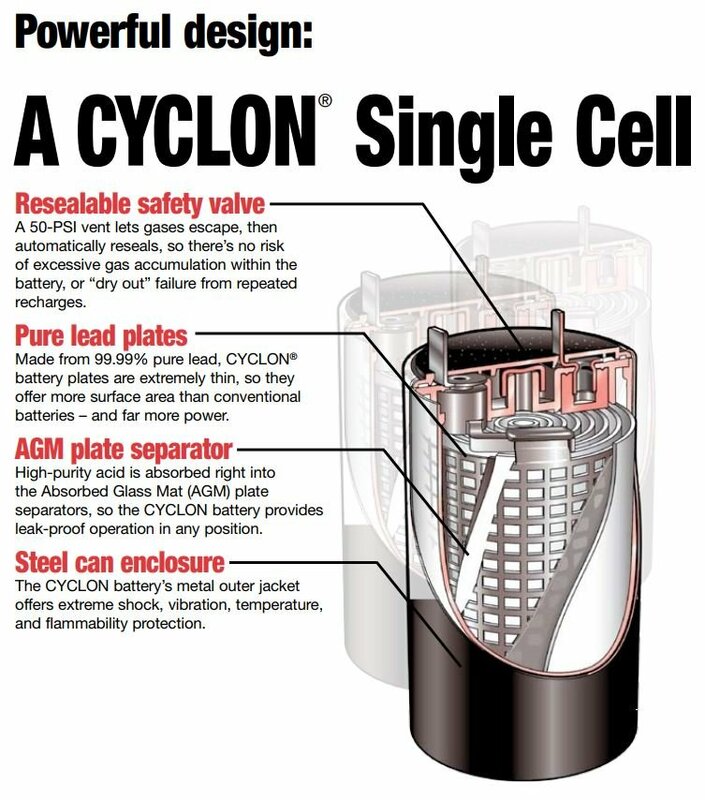 100% Rechargeable Hawker Cyclon 0809-0010 Monobloc battery with F2 terminals (1/4" wide). Rechargeable. Can be recharged in under an hour. Extended service life means more efficient operation with fewer replacements. Performs in extreme temperatures and are safe for installations in offices or hospitals. This SLA UPS battery is also used in telecommunications, emergency lighting, medical equipment, aerospace, defense, global positioning systems, solar, & electronics. The key to the Monobloc product series is the rugged construction and reliable performance in extreme temperatures. Monobloc batteries can be recharged in under an hour and have been proven to last in outdoor applications where standard SLA batteries lose capacity when extreme temperatures are affecting battery performance. Per unit weight, these batteries deliver the greatest high-rate power density for your energy dollar. Recharge times in under an hour and a design life up to eight years. Amazing performance in extreme temperatures; up to twice the capacity even at 20°C! Battery Mart's purchasing department constantly works with suppliers to offer our customers the web's best prices. But we cannot guarantee our negotiated rock bottom prices on Hawker Cyclon Monobloc 4 Volt 5 Ah Sealed Lead Acid Battery will remain this low after April 27, 2019. Buy today for $22.95 and save ($22.95) (-inf%).